Tricia brings a diverse professional background to residential real estate, having honed her considerable negotiating and communication skills in the media and hospitality industries. Her personal network, market knowledge, and ability to put her clients at ease has driven her success as a realtor since 2005. Tricia began her professional career as a producer of affiliate relations with CNN. At that time, CNN was a fledgling news organization, so it took considerable negotiating skills to convince stations to cooperate with the network in the daily newsgathering process. Over the next ten years, Tricia�s successful negotiations helped build one of the news industry�s strongest affiliate networks. After moving to Washington, DC, Tricia refocused her communications talents while representing one of the world�s finest companies: Four Seasons Hotel. As Director of Communications and Public Relations for more than a decade, Tricia established several charitable and community outreach programs that continue to this day and benefit a broad scope of people. While working in the private sector, Tricia dabbled as a real estate investor and finally turned that avocation into a vocation. She applies her business acumen to ensure sound financial outcomes for every client that works with her. 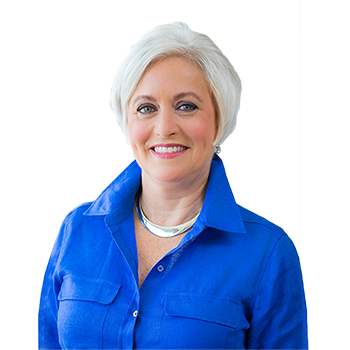 As a member of The McFadden Group, one of the premier realtor teams in the nation, she has a strong track record of buying and selling homes throughout the Capitol Region.